Whilst we can't tell you what Brexit is, or justify why it was voted for, we can assure our customer and friends around the world we will always support you. 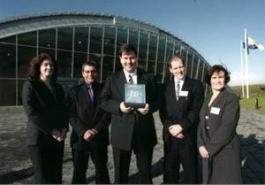 We will always answer your emails and we will always honour all warranties on our products. New Testcards and Information Screens for TestCard ProHD. 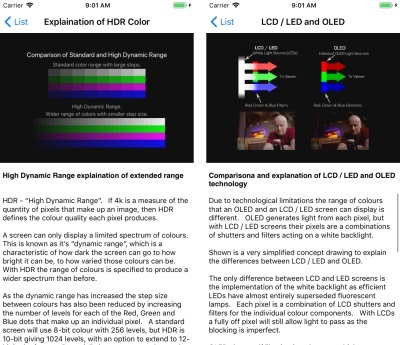 As always free to exisiting customers who now receive HDR testcards as well as brief information on HDR and LCD/LED & OLED screen technology. TestCard ProHD is available on iOS and Apple TV. 4k compatible (it always was). Update for Simple Video Scalar to Spec B. The converter now offers more compatibility with a variety of different video signals, and improve sharpness for a better picture. Ideal for use with Vintage and Retro Computers. Click here for the Simple Video Scalar Spec B. New Innovation for TestCard ProHD - Virtual Blue Filter. When calibrating colour it's best to use a blue filter. Now we have an assist within the App to help! A virtual blue filter using the device's own camera. Remember - if using the Apple TV to produce testcards you can still have TestCard ProHD on your iPhone or iPad using the same purchase. No need to buy again when using the same Apple ID across all your devices. As always, this update is available to all exisiting users for no extra purchase. New Product Update! Digital Audio Lip Sync Delay. Our Digital Audio Delay processor now becomes the Digital Audio Lip Sync Delay. The ideal way to delay audio to compensate for video processing delays in TVs when using an external amplifier. App News: Loyalty Store and PIN Store Receives update. As always, app updates are free to existing users. Now you can capture HDMI video without the need to have a PC connected. Works with a simple USB Flash drive. Video can easily be edited on a PC / Mac (edit software not included) or archived for later viewing. HDMI HD Video Capture Pro. 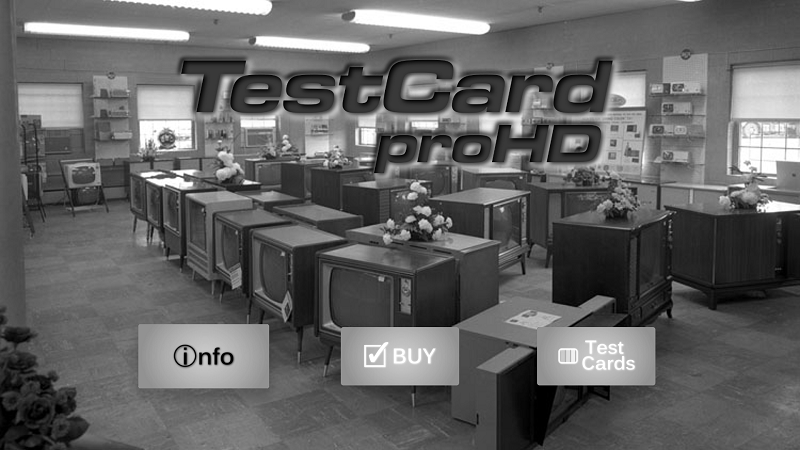 PRICE REDUCTION ON TESTCARD PROHD! TestCard ProHD now on Apple TV tvOS! Re-written to run on the new Apple TV natively. No need for an iOS device to host, but best of all, existing customers of iOS version just need to "restore" purchase! New version for a new device, and no additional purchase required! That's the difference with J.S. Technology and our app, we're changing the rules! We also listened to your feedback on the app being free to download, but you have to buy access to the testcards. Sadly, we can't make the app free as we need to eat too! We've always believed the fairest way to sell the app is to allow you to test that it will work with your hardware before you make a purchase. Once again existing customers get this update for free without having to "buy the disc" again as you would with a DVD or Blu Ray based testcard. iOS Apps to make life that little bit easier. 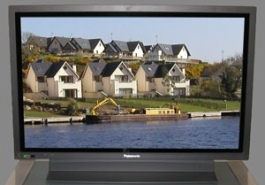 Be it calming a child with MetroBaby, or calibrating an 65" flat screen with TestCard ProHD or Home Theater SPL, J.S. Technology has delivered. We even help keep your your life better oganised with Loyalty Store for those loyalty cards you like to use but not carry. And who can remember every PIN number or code in modern life without PIN Store? We also build a selection of video products for analogue systems, as well as lip-sync correction, and are regarded as having some of the highest quality converters on the market today. 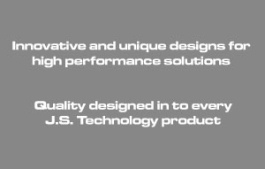 The HDMI products we stock are carefully selected for their performance, and most importantly for HDMI, their compatibility. Additionally we also accept commissions for custom electronic design work. 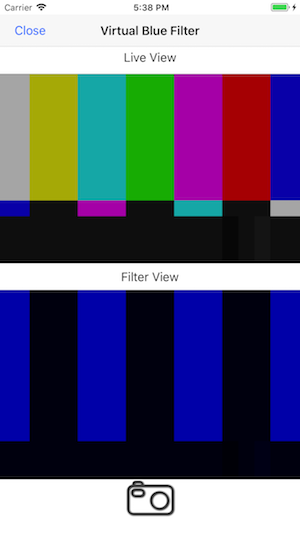 Blue filters for use with TestCard ProHD are now available. See the "Calibration" menu on the left! Home Theater SPL a solution for calibrating the audio level of surround sound systems within the home without the need for expensive additional equipment. MetroBaby™, the game for entertaining and distracting babies and toddlers. It gives a variety of games (after in-app purchase) to help entertain and calm when you're on the move. Loyalty Store helps you slim down your purse or wallet by carrying your loyalty cards in your iPhone. Simply scan the barcode in to the app, take a picture of the front and back just to prove to the store it’s your card, and leave the card at home. Struggle to remember your PIN number? Who can with bank cards, credit cards, alarm codes, door entry codes, and every other code you need in daily life! PIN Store will help you remember those PIN numbers by hiding them in a grid. Converts an HDMI connection to a YUV/YPbPr Component type connection. Converts Composite, S-Video, Component or RGB SCART to a VGA PC type signal.